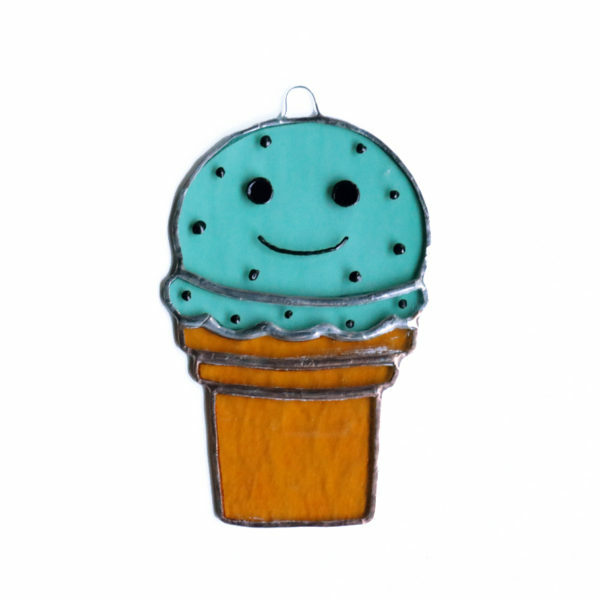 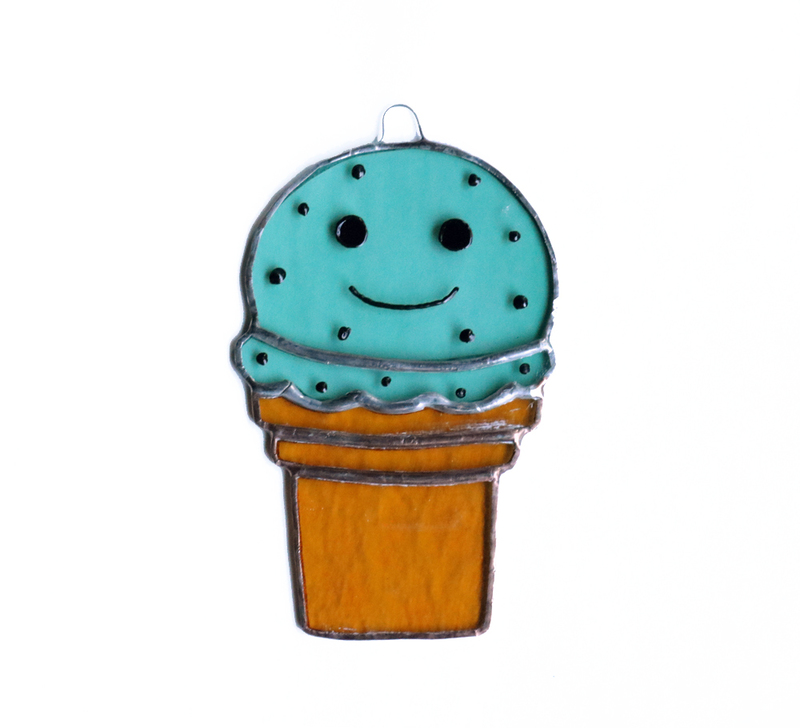 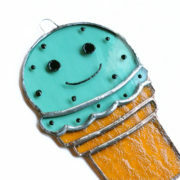 This Ice Cream Cone sun catcher is made of mint green and beige glass and has a copper & silver finish on the solder. 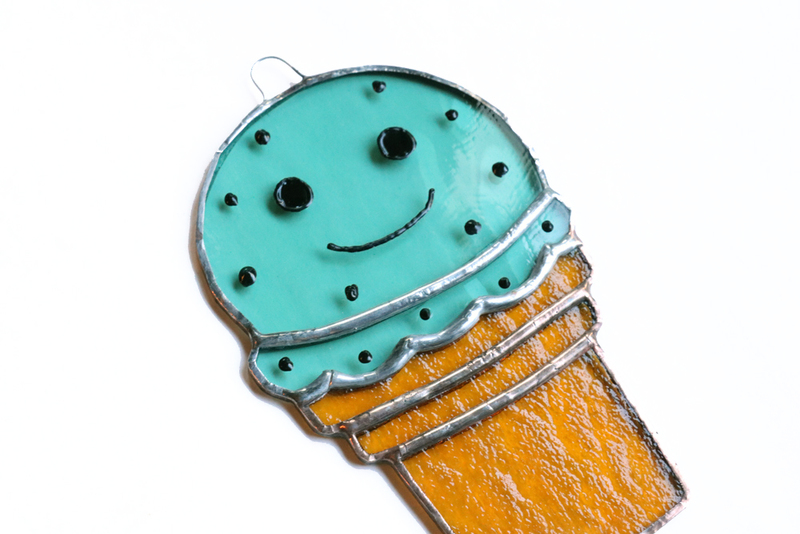 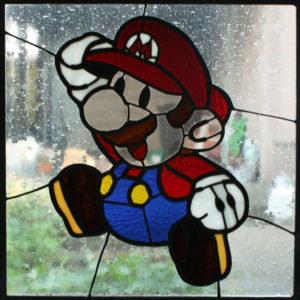 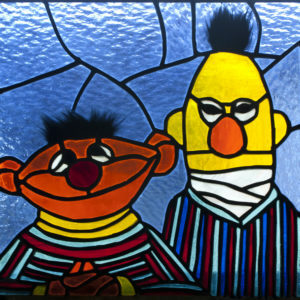 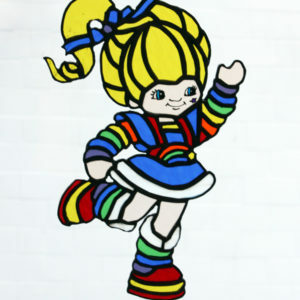 Face & chocolate chips are painted on with glass paint. 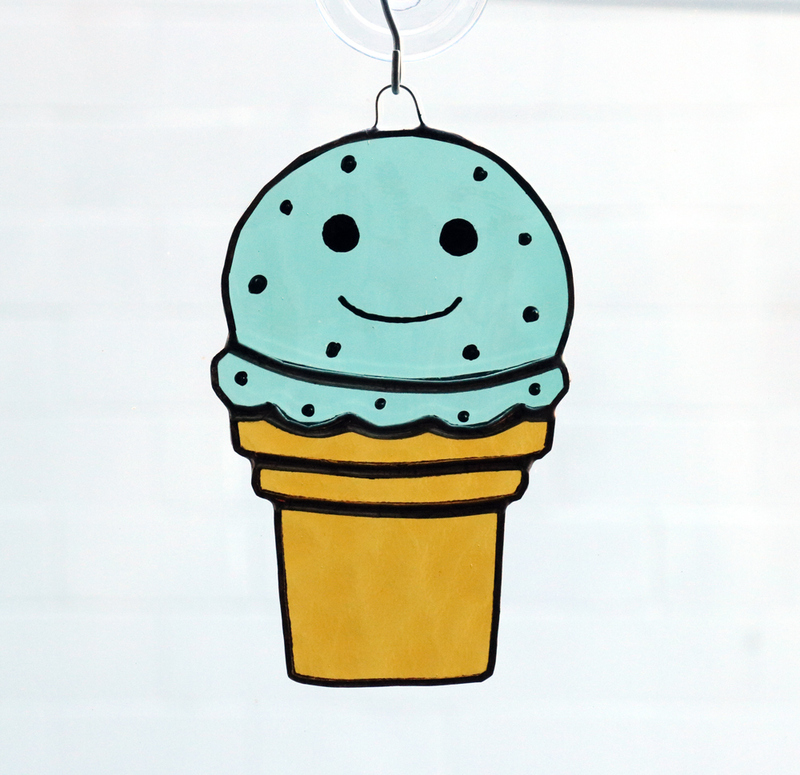 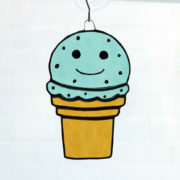 Ice Cream Cone measures 3.5″ x 5.5″ and comes with a suction cup so you can hang it on your window.